Company Overview - Wuhan ZJZK Laser Technology Co., Ltd.
3YRSWuhan ZJZK Laser Technology Co., Ltd.
WUHAN ZJZK TECHNOLOGY CO., LTD. was established in 2008. 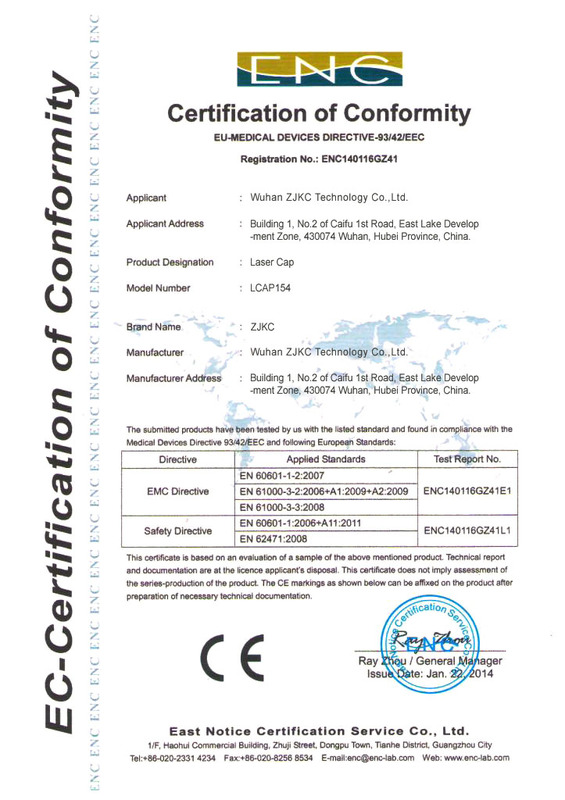 ZJZK is both for high-tech equipment manufacturer and independent exporter and LLLT medical laser department during the 10 years of hard working and development . We have large factory, adequate staff. 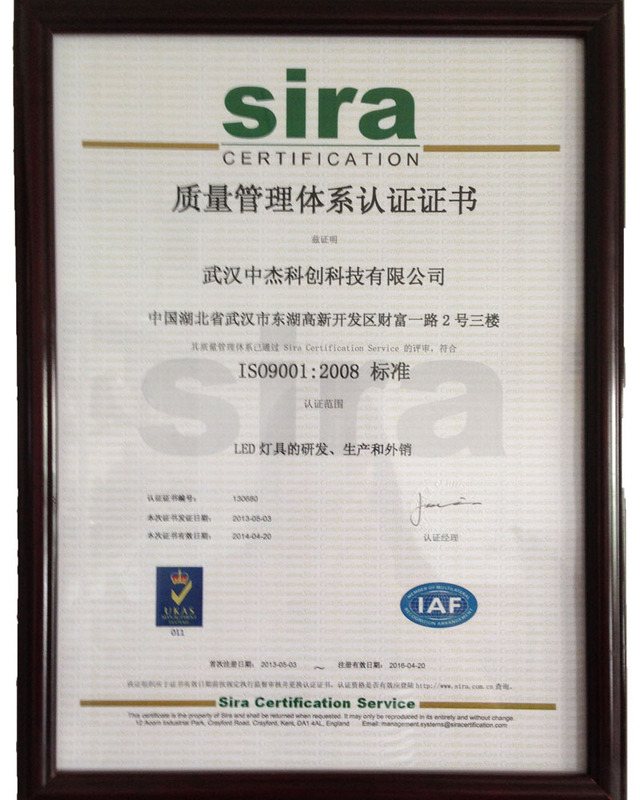 High quality is our constantly pursuit, our company have a huge professional technology research team. All the engineers specialists have rich experience on medical development and production, at same time, our company cooperation with some University and research institutes to develop advanced laser medical products for future market. LLLT medical department is committed to the development of advanced, safe and effective high-tech LLLT laser medical equipment. Such as laser hair cap, laser pain relief device, laser therapy watches etc. .The biggest advantage of LLLT (low level laser therapy) laser medical products is that it belongs to the traditional Chinese physical therapy. The physical therapy is non-implant treatment, you do not need to take any medicine or any surgery, so there is no risk and pain, and it is quick. That's why more and more are amazed by the effective results. And more trust in LLLT. Now LLLT instruments in the world becomes more and more popular, which also leds us to continuous innovation, and constantly improve the product, so that we can meet any different requirements to provide better service.We have a professional engineer R & D team, but also a professional quality supervision department. Every product can not be delivery until it passes the strict quality test, because your satisfaction is what we really want. We also support OEM customization, our engineers can help you perfect your product design and requirements, and build your own brand.And we have a great team for after-sales service which in order to provide the best service and solutions for each customer . "Provide high quality product, Best service, Innovate" is our management spirit, we focus on orientation and specialized in R&D and production, we do our best to best service and reliable products. We have been improving and innovating, work hard to be the top manufacturer.Welcome your trial sample order and thank you for giving us this opportunity to show you our quality and services. And Welcome to your advice . We believe that your advice will make our products more perfect. We will have more new products in the not far future,looking forward your visit to our factory .Welcome to contact with us for consultation and communication, we prepare to provide the best products and service to you at any time, we looking forward to creating win-win situation with our sincere management. Design, Produce and Export Sales of LED porducts.